I joined Marketo three years ago, and my first day was at the Marketing Nation Summit 2014 in San Francisco. I still remember the incredible energy, passion, and enthusiasm shared by thousands of Marketo customers, partners, employees, and industry thought leaders to this day. 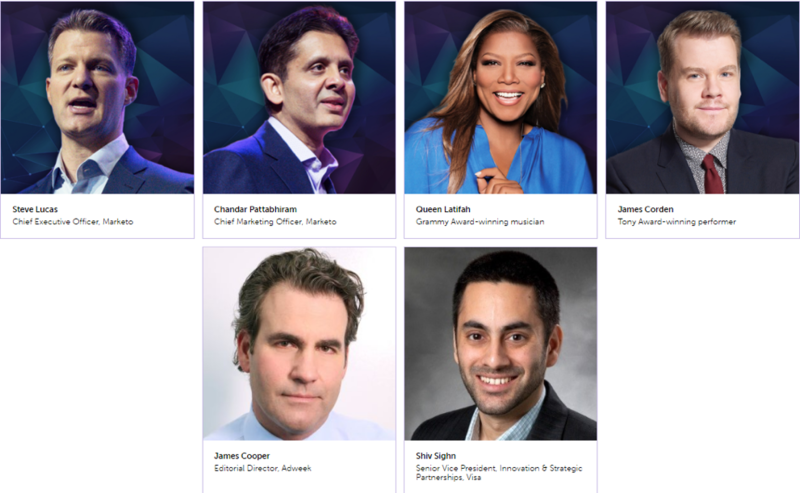 This year’s Summit promises to be even bigger and better than ever before, featuring an incredible lineup of keynote speakers, including our very own CEO Steve Lucas and CMO Chandar Pattabhiram, Tony Award-winning performer James Corden, Grammy Award-winning musician Queen Latifah, executive-level content in partnership with Adweek, and tons of inspirational sessions showcasing influencers and speakers from notable brands like Visa, Google, San Francisco Giants, Microsoft, and many more. If you haven’t already, register now! Many marketers attend Summit to stay sharp on different areas of focus, new trends, and best practices. One particular topic of interest is account-based marketing (ABM), which has recently seen a revival as new digital technologies make it easier for companies of all sizes to scale their account-centric efforts and realize improved win rates, faster deal velocity, higher revenues, and ROI from high-value accounts. Learn from the brightest minds in the industry and stay up to date on trends, tips, and ABM best practices in these thought leadership sessions. If you’re wondering whether ABM is a real trend and if it’s living up to its hype, Megan Heuer of SiriusDecisions, the leading global B2B research, and advisory firm, will offer proof. 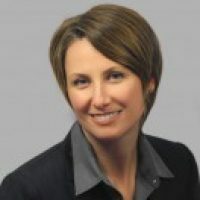 In her session, Megan will share the ABM secrets she’s discovered from SiriusDecisions clients and what they’ve found works best. These secrets cover how to set goals and define metrics for ABM and demonstrate business value, what technologies make up the ideal ABM stack, and the biggest ABM mistakes (so you can avoid them). Craig Rosenberg will present the TOPO account-based funnel, which provides the framework that organizations need to design, execute, and measure their account-based marketing strategy. Craig, who I had the pleasure of meeting and hearing speak at internal Marketo functions and many industry conferences, will share specific examples of how companies execute the framework—including how they looked before and after as well as the tools needed to execute immediately. Definitely don’t miss this one! Are you curious about how to increase marketing contribution to revenue with ABM? Ardath Albee will explain how personas can help orchestrate buying committee engagement, why content must inform and influence buying committee conversations—and how that works, and how to address shifts in context at each stage of buying to keep the momentum going. Joe Chernov‘s session will be incredibly practical and example-packed. He’ll reveal some of the potholes that can impede ABM progress and dampen ABM effectiveness, and you’ll walk away with tips on how to avoid them, including how to maximize sales participation in ABM and zoom in on the metrics that matter most. In these Marketo@Marketo sessions and meet-ups, get to know the people behind your favorite platform and those who shaped the latest ABM product vision—your peers who are leading the ABM journey and paving the way for you to succeed. This is a session particularly dear to me as I’ve been driving an ABM strategy for Marketo’s Commercial business for the last 15 months. If you are unclear how account-based marketing fits into the marketing strategy you currently have in place—join this session! You will learn when ABM makes sense for a business, how Marketo does it, and tips and tricks for a successful ABM program. Summit consists of numerous opportunities for you to meet with like-minded marketers, experts from Marketo who practice account-based marketing with our product, and partners who can help you get started on your ABM journey. Don’t miss this ABM meet-up facilitated by Mike Telem, the man behind Marketo’s ABM product vision. We launched Marketo Account-Based Marketing last September, and our early adopters will be speaking at Summit about their unique journeys and the impressive results they’ve achieved. Learn from their experiences. Rebecah Wiegardt and Gavin Drake both run account-based marketing programs and were amongst the first to implement Marketo ABM. In their session, you will learn the benefits of investing in ABM, how to integrate the sales organization into an ABM program, why they selected Marketo ABM, and how it fits into their overall marketing technology stack. Take away real-world ABM tips to ensure your account-centric adventure gets off to the best possible start. Creating personalized content for ABM is something many companies struggle with. Matt Davis will share how Allocadia set out to build a better-organized hub for content using Marketo and Uberflip. The result: content became a pillar of Allocadia’s ABM program, allowing the team to hit MQL targets, reduce the load on marketing operations, and enable sales—ultimately driving better sales and marketing alignment. In his session, Dan Stevens will explain how to design and produce a complex, account-centric lead lifecycle in Marketo with MS Dynamics CRM, which enables you to effectively identify, assign, route and qualify leads, and measure marketing contribution to the business. Dan will highlight some of the challenges and how to overcome them, and how they scaled this framework in an environment that consists of 23 workspaces and lead partitions. Kate Federhar and Travis Campbell will show you how to create a lead generation that machine sales organizations love. They will discuss real-world examples that you can implement today, longer term strategies to aim for, along with the four stages of the Marketo Engagement Maturity Curve to open the floodgates for your sales teams. With all of this incredible ABM content, I hope you’re as excited as I am to come to this year’s Marketing Nation Summit. What session are you most excited to attend? Or if I won’t see you there, what topic is the most interesting to you?